Times Square might be the most hashtag-worthy spot for ringing in the new year, but it's certainly not the best if you're a frugal partier seeking an equally ball-dropping experience. (We mean that in a good way. )Orlando was ranked the No. 1 place for a fun - and affordable - New Year’s Eve celebration, according to a study by WalletHub. 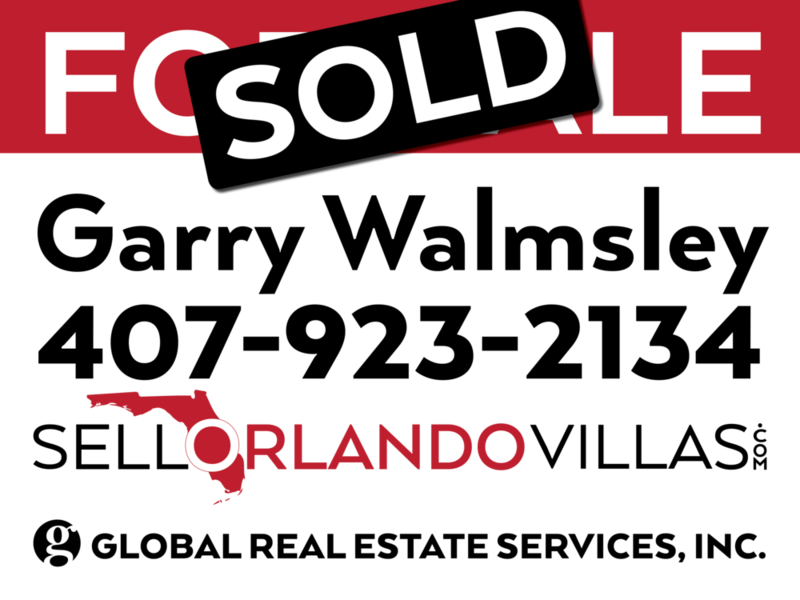 Housing inventory in Orlando has declined year-over-year for 15 straight months, which is driving values upward and causing prospective buyers to either waver at the steeper home prices or become disheartened by the competition for the low number of available affordable listings. As Orlando International Airport continues to attract new airline service and routes, we have been able to maintain double-digit international passenger growth on a consistent basis,” says Frank Kruppenbacher, Chairman of the Greater Orlando Aviation Authority. “This in turn grows this destination and helps to further stimulate the local economy. Fullhouse® vacation rentals offer the amenities of a resort with all the comforts of home. Guests can unwind in private pools and spas, reconnect in spacious open gathering areas, collaborate in meeting spaces, challenge friends in game and arcade rooms, watch the latest films in cinema-style home theaters, prepare meals in gourmet kitchens and enjoy al fresco dining poolside. Offering up to 14 bedroom en suites, these magnificent homes invite guests to spend time together or relax in private spaces. "Top markets" mean strong rental markets where home prices are likely to increase steadily over the next few years, resulting in better returns, since home bargains will be harder and harder to find. Orlando is the best real estate market in the U.S. right now for investment opportunities, according to a new report from HomeVestors of America Inc. and Local Market Monitor. SeaWorld Orlando will be adding virtual reality to a ride that already exists, giving riders the virtual option on the Kraken roller coaster. SeaWorld has not confirmed if the video will be fully 3D or not, but it will include the Kraken along with other mythical and prehistoric creatures. Everyone likes to have fun. But we all prefer our personal brand of a good time. Some of us like going to bars and clubs, trying new restaurants, watching movies or playing outdoor sports. Others enjoy riding roller coasters, gambling, or catching and training Pokémon. Florida's housing market is experiencing tight supply and pent-up demand. That's affecting the pace of sales and putting pressure on statewide median prices. Florida's economic growth, rising jobs outlook and acclaimed quality of life continue to draw new residents eager to call the Sunshine State home. Mattamy Homes has purchased 1,650 new lots for a regional expansion in places including the northwest corner of Osceola County near Walt Disney World, which will see the debut of Mattamy Homes into the Vacation Rental market. Solara at Westside will include more than 900 lots, and will feature resort-style amenities, town homes and single-family homes. Because July is National Park & Recreation Month — who knew? — WalletHub decided to take a look at which metro areas are doing the best as far as investment in their recreation and public spaces by comparing the 100 largest U.S. cities across 35 key metrics, ranging from park land acreage to the cost of movie tickets. Central Florida home prices are up by 6.9 percent compared with May 2015. Orlando-area home prices also saw a month-over-month growth, increasing by 1 percent over April. Statewide, Florida ranked No. 6 in year-over-year home price increase at 7.3 percent. Oregon and Washington came in at No. 1 and 2 at 11 percent and 10.1 percent, respectively. Further illustrating a focus on the future was a presentation by renowned airport architect Curtis Fentress. His summary of preliminary designs for the South Terminal Complex featured descriptions and the first visuals of proposed project advancements for the $1.8 billion first phase. Belfast International Airport business development director Uel Hoey said: “There was enormous excitement around the debut of non-stop flights last year from Belfast with Virgin Atlantic and Virgin Holidays and the weight of demand has exceeded all preliminary expectations. Florida's housing market is growing at a more moderate pace. New listings for existing single-family homes rose 5.8 percent compared to a year ago, while new listings for townhouse-condo properties rose 4.3 percent. While a tight housing supply is having an impact in many areas, still-low mortgage rates, increased jobs and economic growth will continue to boost housing demand. Orlando’s inventory of available homes is 11 percent below where it was this time last year and continues to impact both sales and price. Regardless, we are seeing a small trend of increasing sales that illustrates buyer enthusiasm for our current historically low interest rates and steadily rising values.